Happy hot August nights to you all! 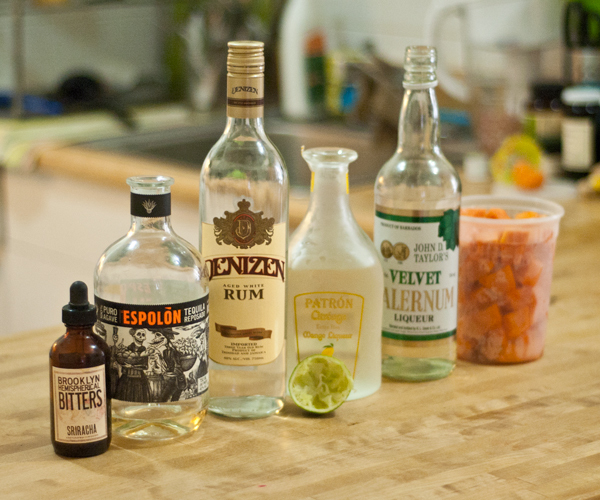 My, we’ve had a lot of Rum lately over here at HomeBarGirl, haven’t we! 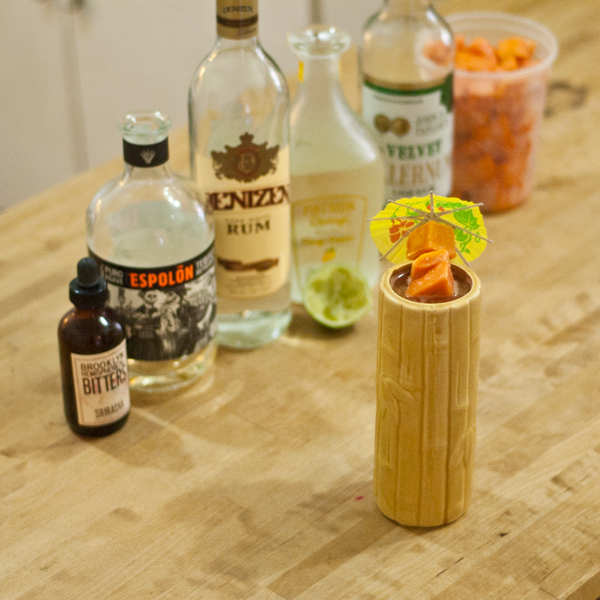 Well, now that National Rum Day is over, I’ve got a tasty albeit unusual Gin cocktail for us. 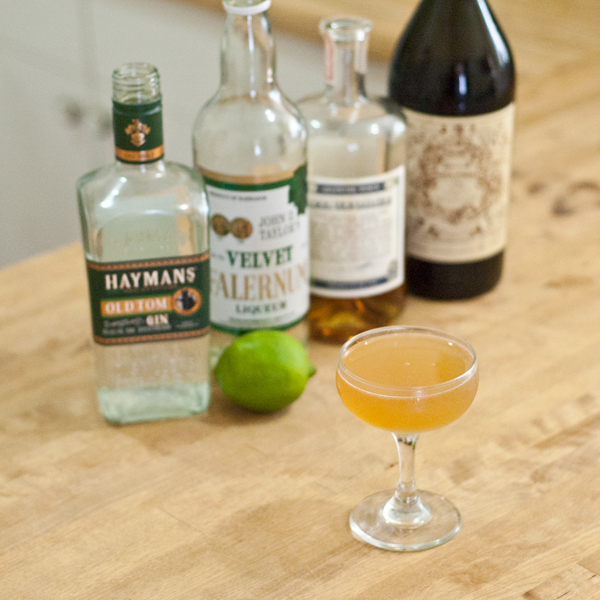 The inspiration for this cocktail was “What can I do with Carpano Antica + Old Tom Gin, while keeping it Tropical?” I made the drink, realized that it was missing something, turned around to look at my glassware, and there was the St. George Absinthe Verte! Thanks again you beautiful bottle of Absinthe you! 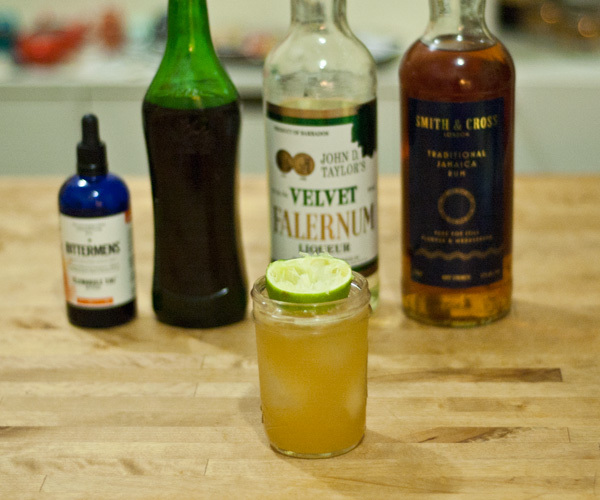 This cocktail is tart & refrescando, complex yet mellow, a bit astringent, with some nice spices from the Carpano Antica and Falernum. Rinse a coupe with Absinthe and chill. Combine remaining ingredients over ice and shakety-shake-shake. Strain into coupe. No garnish. Thank you magnificent ingredients, you are all so very tasty. Cheers. Have you ever had one of those days? One of those days where you feel like you’re living in a cartoon? A cartoon with Monkeys, ships made out of Lime halves, and paper sails? Maybe? Hmmm, never mind. 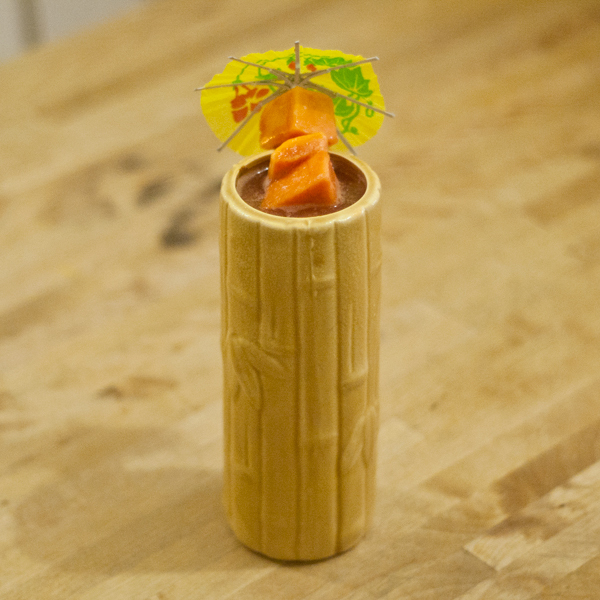 The inspiration for the next two Tiki drinks were literally these lil Monkeys I got from Zombie Hut in Brooklyn. 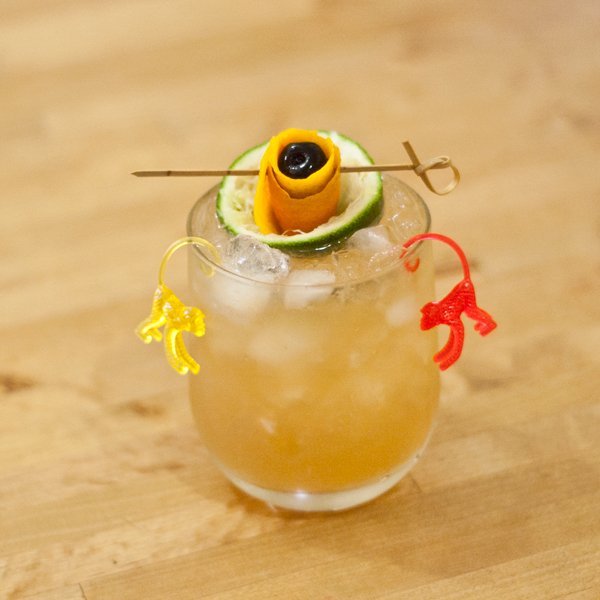 Some friends and I went for a Tiki night back at the end of winter and we got these monkeys with our Scorpion Bowl. It was awesome. Now the Monkeys roam throughout my kitchen, scurrying up bottles of Giffard Banane and drinking all the Rum. 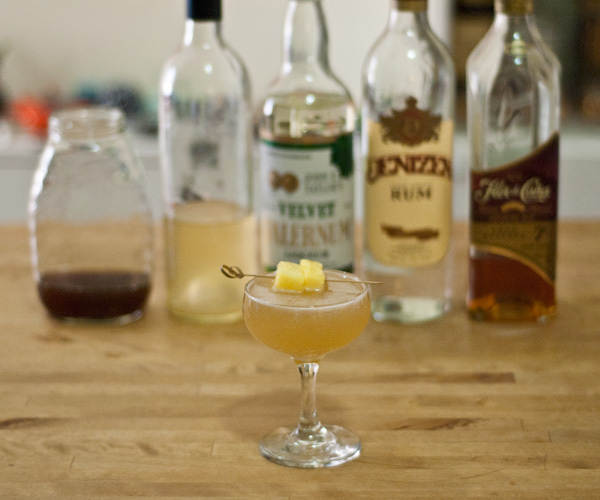 They helped me make these cocktails, so they get at least some of the credit. Combine ingredients over ice and short shake. 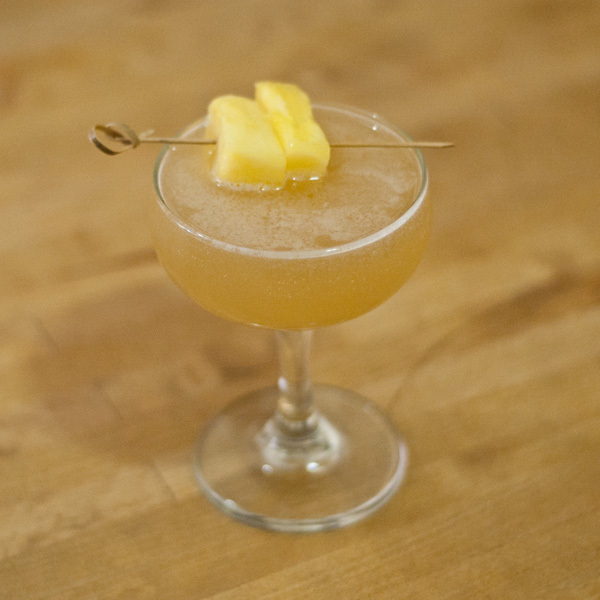 Strain into specialty glass over cracked, crushed or pebble ice, and garnish. Y’all, for real, this might be the greatest name of all time for a Daiquiri variation and I didn’t come up with it! My friend Eleni Crush and I were talking about the wonders of Orgeat and she said, “Orgeat Gabor would be a great name for a cocktail.” It stopped my heart! So perfect! We decided to change the spelling to “Or-zah” and I started searching for the right ingredients. Now, the thing about Orgeats is that they all taste differently. 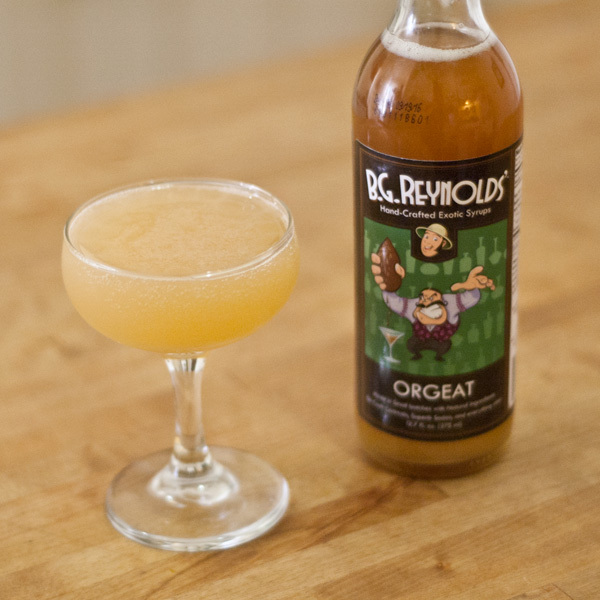 BG Reynolds’ Orgeat is a tad toasty and not quite as sweet as some of the other ones I’ve tasted. You will probably have to adjust the ratios of the drink depending on the Orgeat you have. 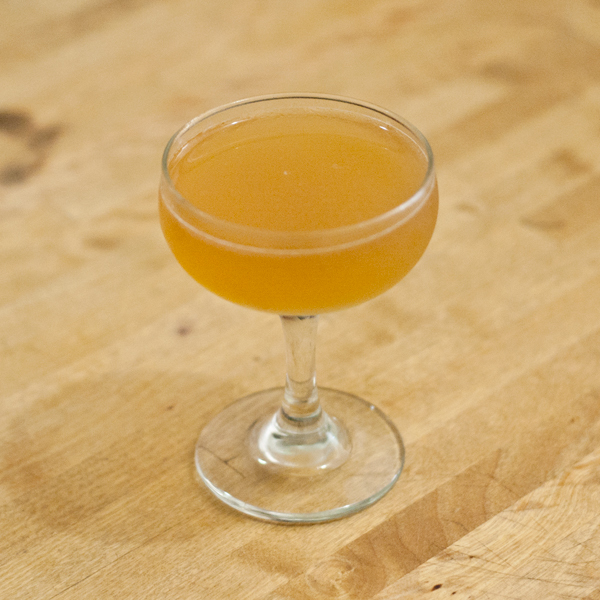 For example, I was working on this drink with KJ Williams at Flatiron Lounge and they use a homemade Orgeat. 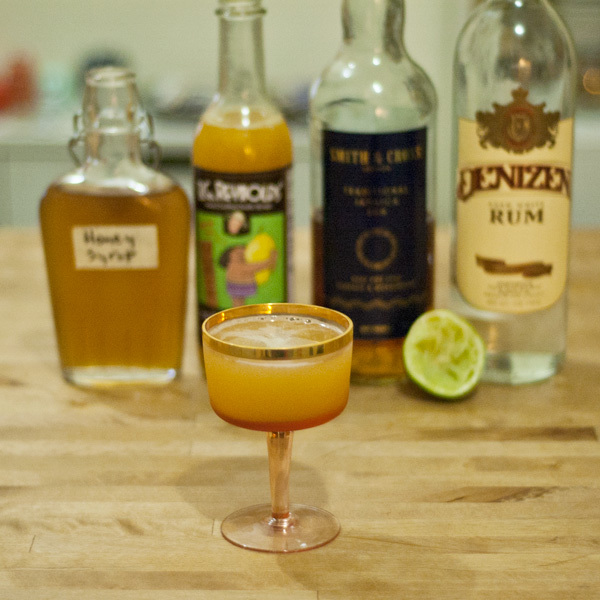 We totally had to toss the Falernum and decrease the Lime because their Orgeat was sweeter than mine. 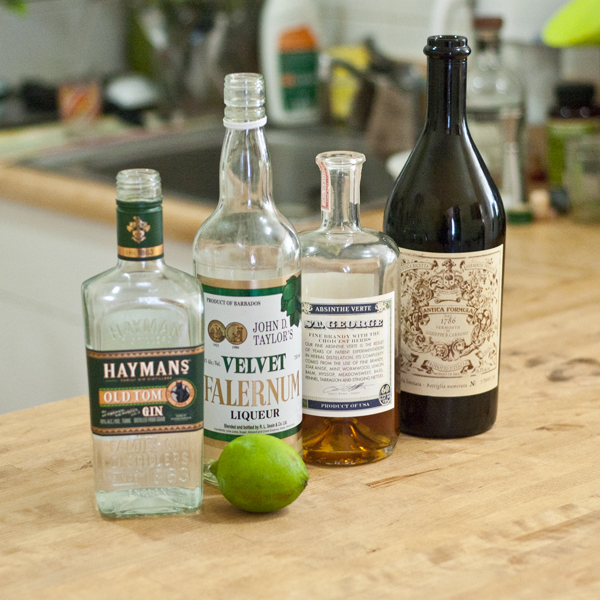 Combine ingredients over ice and vigorously shake until your body feels like a thunderclap. (jkjkjk, don’t give yourself a heart attack.) Double strain into coupe. Sip slowly and dream of sunny days and fabulous times. 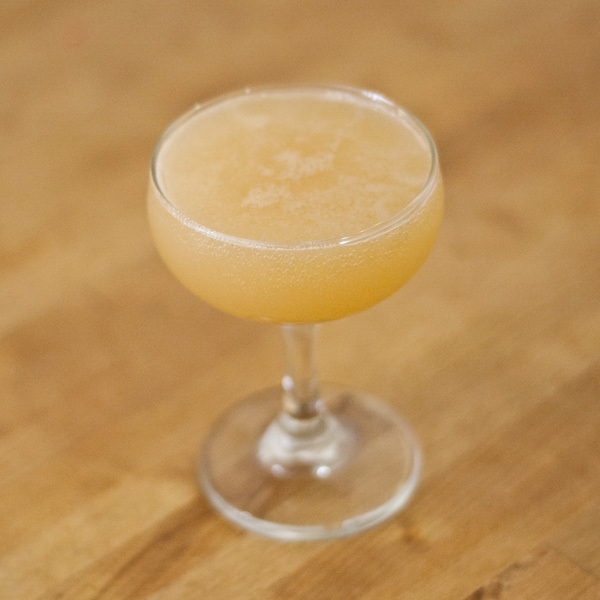 You will want to guzzle this Daiquiri, don’t do it! I want you to live! Don’t forget to join in the Rum fun with #RumForTheHills on Instagram. 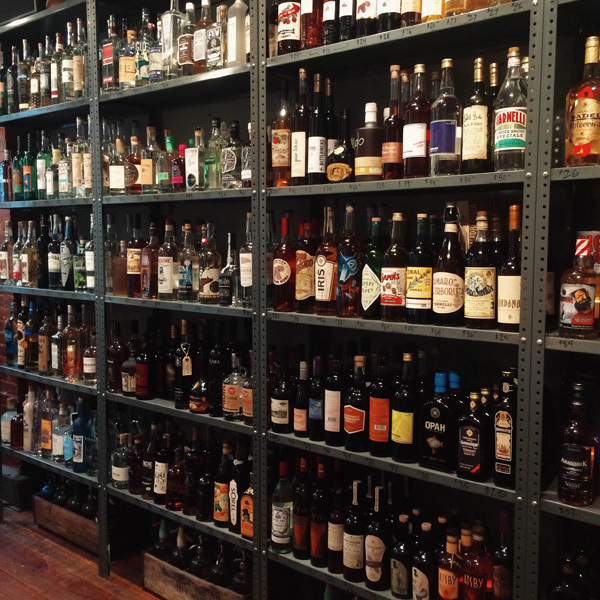 This magnificent wall of Booze is at Duke’s Liquor Box. I hate to say the phrase “well curated” cause it makes me sound like the next Trondy Hipstar but good god y’all, this shop is SO WELL CURATED! Just gaze into the photo and note that there are almost zero major labels in there. And what do you get when you aren’t selling Fireball and Jose Cuervo? You get really phenomenal bottles. This shop is where I’ve acquired things like: Cocchi Americano Rosa, Bonal, Dolin Blanc, El Buho Mezcal and Delaware Phoenix Bourbon. Well, yesterday I was after Rum. I was after El Dorado 12, but when I arrived they only had the El Dorado 8. This was actually super fortunate because then I was able to go in a totally different direction, Funky Jamaican Rum. WOAH. So funky, funky, funky! I did a side by side taste test and Imma tell you about it. Impression: Honestly, there was so much happening that I was overwhelmed (in a good way). 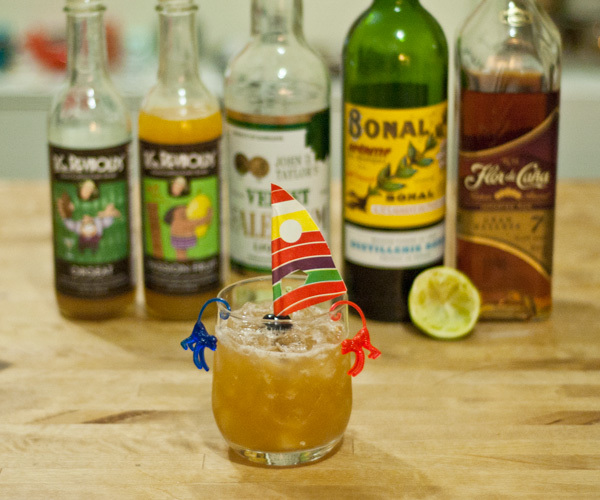 This Rum will stand up to anything. 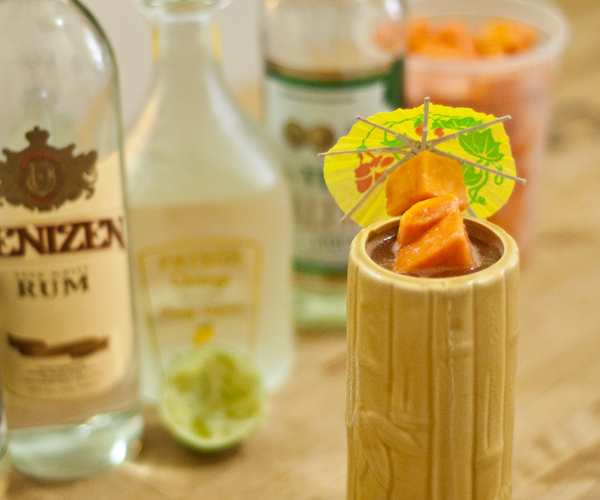 If i were to make a Tiki drink with 10 ingredients in it, what would stand out? Hamilton Jamaican Pot Still Black Rum. So serious, so impressive, so bold, so challenging! I love it! 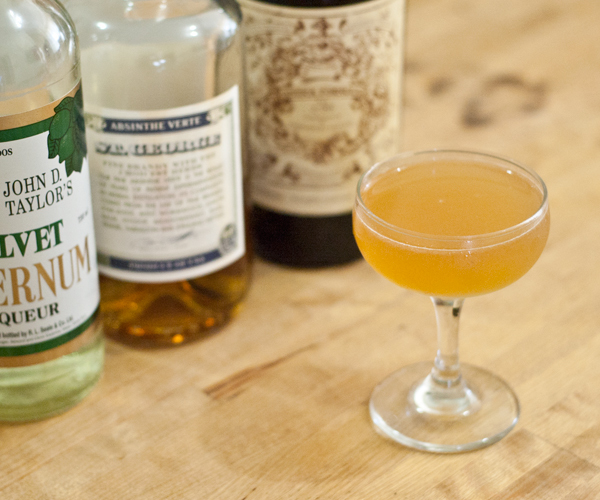 Impression: This is a really approachable, versatile and user friendly Jamaican Rum. 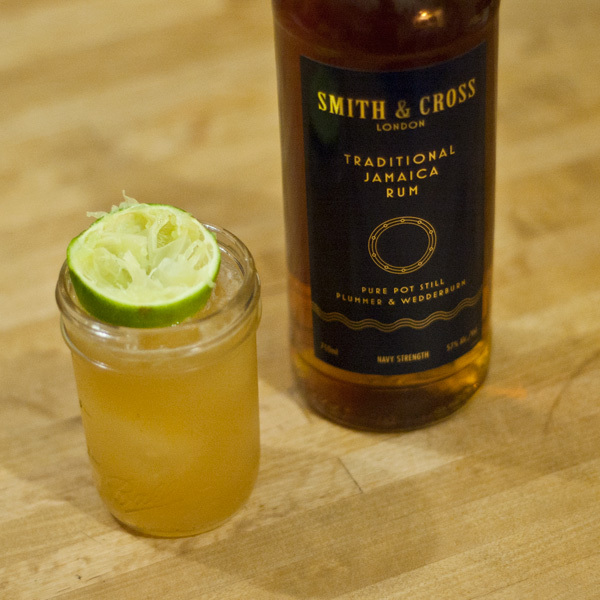 Smith & Cross Rum’s combination of high proof, tropical fruits and short finish make it perfect for mixing with. I shall be using it in loads of Tiki/Tropical drinks. Hello new Funky Friend of mine. 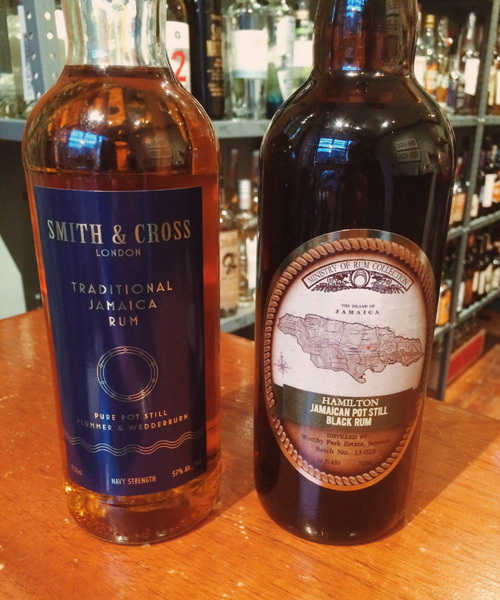 What do we do when we get a new Rum? 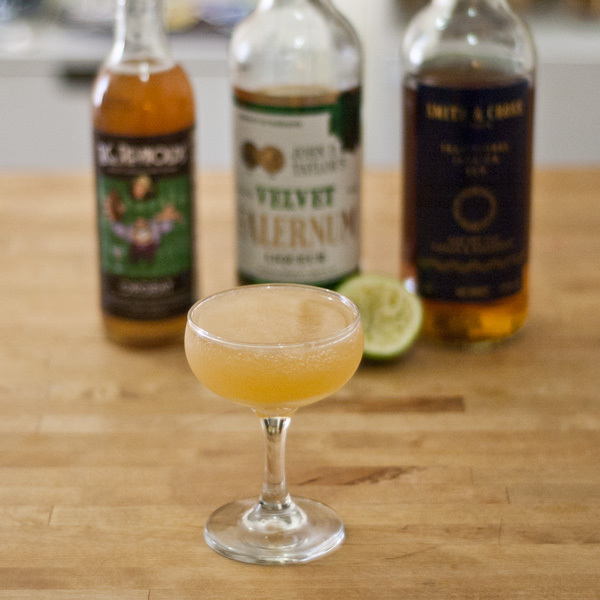 We make a Daiquiri. 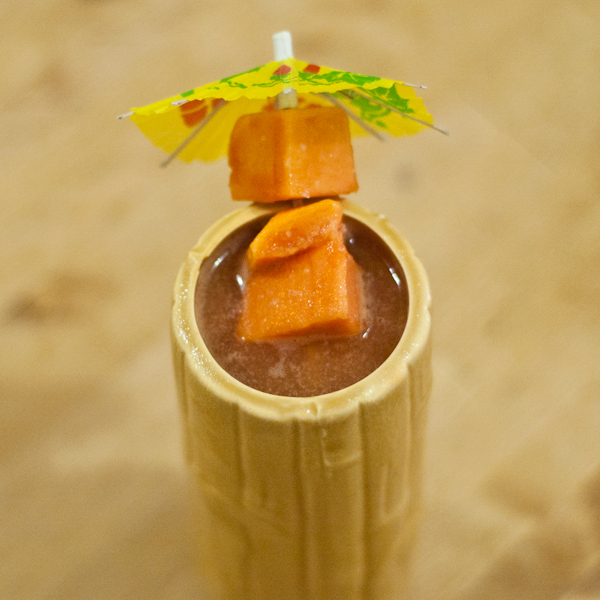 Since this is a Funky Rum, I decided to make a Funky Daiquiri. Enjoy! In tin combine ingredients over ice and short shake. Pour entire contents of shaker into mason jar (this is called a Dirty Pour**). 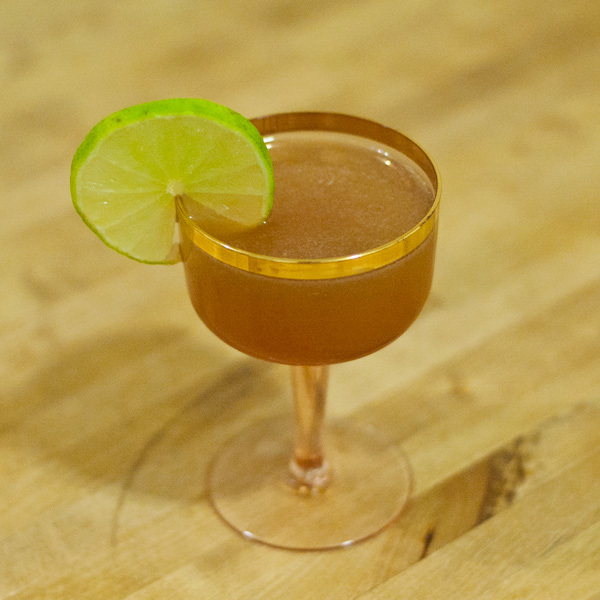 Garnish with one of the Lime halves you used when you juiced the Lime. 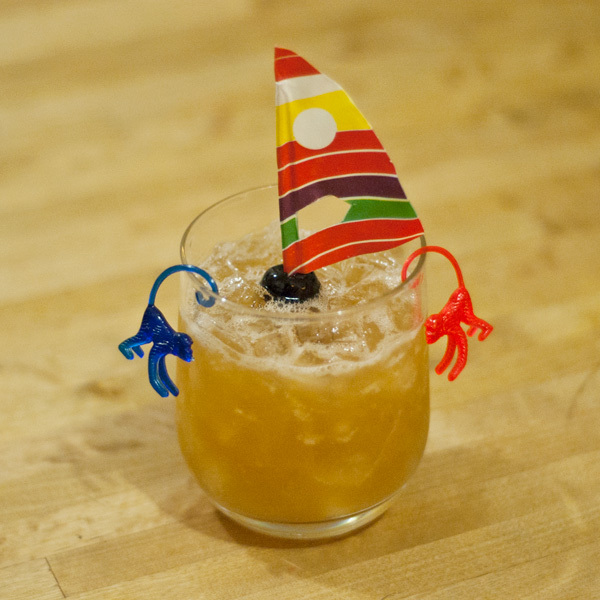 *If you’re going to serve this garnish, be sure to serve the drink with a straw so no one gets whacked in the face. 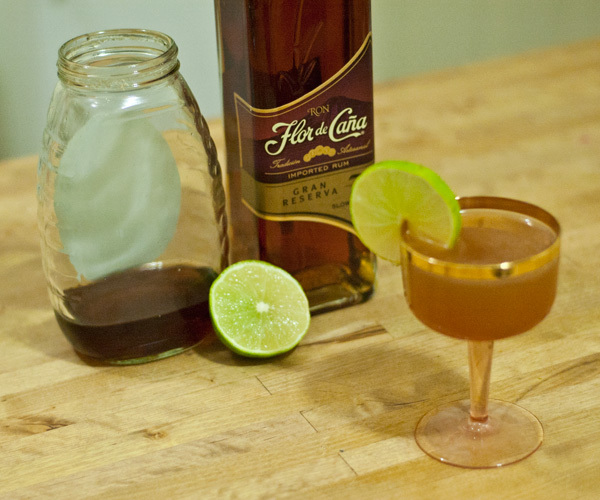 **I always like to use mason jars when I make Dirty Pour drinks. Tropicaaaaaaal, tropical breezes. Tropical sneezes.